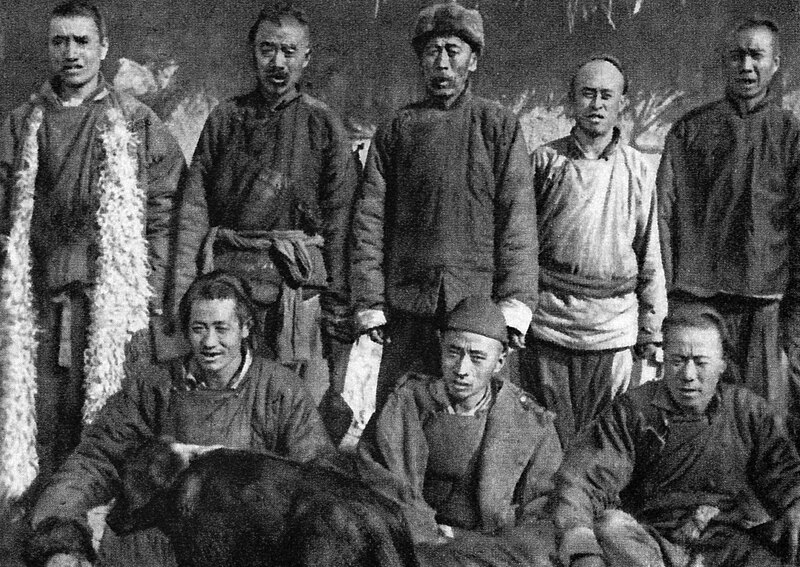 Chinese hunters and trappers in Primorye, Russia, early 20th Century. Photograph by Vladimir Arsenyev. Toward the end of “Across the Ussuri Kray,” a book written by the explorer Vladimir Arsenyev, there is a description from 1906 of a cabin in Primorye, Russia. Called Myaolin and inhabited by an elderly Chinese man, it was famous for its moonshine. The Chinese and native Udege hunters all across the vast Iman River basin offered meat, pelts, and ginseng in trade for the grain alcohol distilled there. Myaolin was one of the oldest cabins in the region; the old man had settled that place some fifty years prior when the territory was still part of China. By the time Arsenyev stumbled up to Myaolin it was early winter and it was dark. The Russian was cold and weary; he and his team were achingly close to the end of a six-month expedition to explore that region’s wilderness. All they wanted was a dry, warm place to rest before pressing their calloused feet to the trail once more. After some dinner, Arsenyev’s host sampled liberally from his stores of grain alcohol and became belligerent. Convinced that Arsenyev and his military detachment were there to confiscate Myaolin and deport him to China, the old man soon erupted in anger, screaming, “Myaolin is as old as I am, and you’ve come to drive me out. I will not give you Myaolin—if I must leave, I’ll burn her down!” Eventually, and with soothing assurances and increased doses of moonshine, the man calmed and fell asleep on a pile of straw. Arsenyev and his companions were gone by the time he woke the next morning. At first, I interpreted the old man’s behavior as the product of alcoholic overindulgence, but later learned that he had good reason to be paranoid. After Primorye became officially Russian in 1860, authorities launched multiple and concerted efforts to reduce Chinese presence in the region. In 1888, any Chinese individuals living further than 55 kilometers from the border were ordered expelled—although Myaolin apparently escaped this scrutiny—and in 1911 Arsenyev himself led an expedition that resulted in the arrest and deportation of hundreds of Chinese poachers. These pre-Soviet efforts paled in comparison to those of 1937, when nearly 80% of the Chinese residents of the southern Russian Far East—an estimated 19,000 people—were removed, an action carried out in tandem with the mass deportation of ethnic Koreans (see A Lost Population). This included all Chinese residents of the capital city Vladivostok, and any individuals within 100 kilometers of the border. Indeed, if Myaolin still stood in 1937, its inhabitants would have been right to think the worst when Russian troops came knocking.